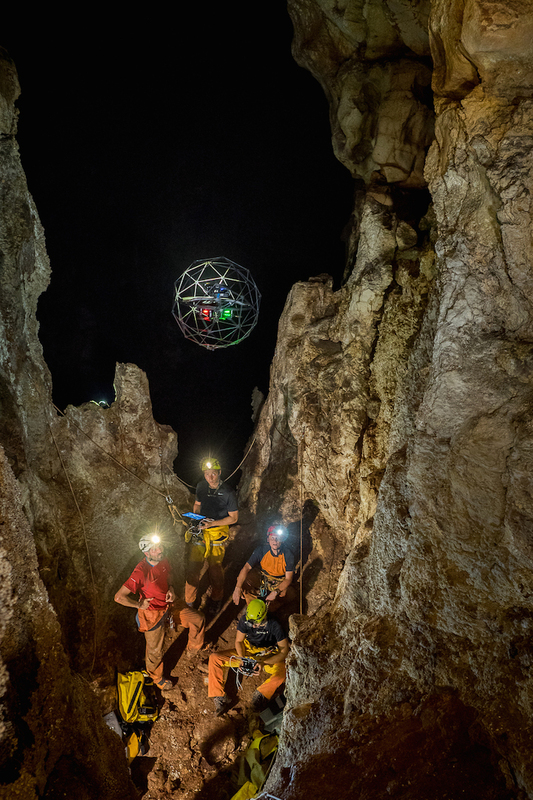 ESA astronaut Luca Parmitano launching a drone during the CAVES-X1 expedition in a cave system in Italy, May 2017. ESA has been testing equipment, techniques and working methods for missions with astronauts in inner space for many years. Delving inside Earth and exploring caves often parallels the exploration of outer space, from a lack of sunlight to working in cramped spaces and relying on equipment for safety. An extension of ESA’s Cooperative Adventure for Valuing and Exercising human behaviour and performance Skills course, this CAVES-X1 expedition saw Luca join a scientific expedition organised by La Venta Association in the La Cucchiara caves near Sciacca, Sicily. 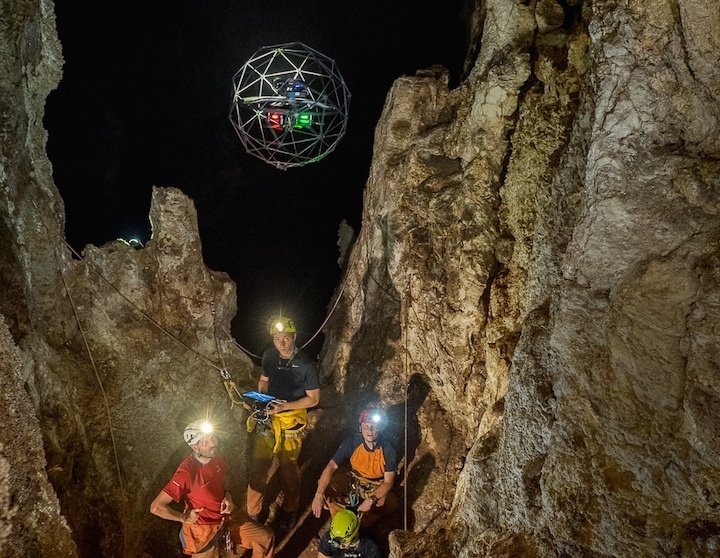 ESA’s course coordinator, Francesco Sauro, an experienced caver and field geologist, remarks: “The drone used its thermal camera to map how the cave continued all the way to an unexplored area featuring water, impossible to reach for humans. ESA’s strategy sees humans and robots working together to explore and build settlements on planetary bodies, as well as improving our understanding of our origins, and the origins of life in our Solar System.